Wind energy together with clean hydrogen can play a vital role in decarbonising economies, WindEurope CEO Giles Dickson tells the Gas Infrastructure Europe conference June 23, 2017 in Prague. Now at 154 GW capacity wind power accounts for 10.4% of power demand in the EU. Direct Power Purchase Agreements are allowing industrials to hedge against the volatility of energy costs. By providing grid support services, wind is contributing to the secure management of the power system. Giles Dickson, WindEurope CEO said: “Wind energy has enjoyed three decades of growth and is now Europe’s second largest form of power generation. As capacity continues to expand, wind will play a vital role in decarbonising Europe’s economy. It is a key partner in the energy transition. For example it’s one of the main sources of clean hydrogen so will be key in driving up the supply of hydrogen for industrial applications and energy storage. Europe’s gas transmission infrastructure will play an important role in transporting these increased volumes of clean hydrogen. 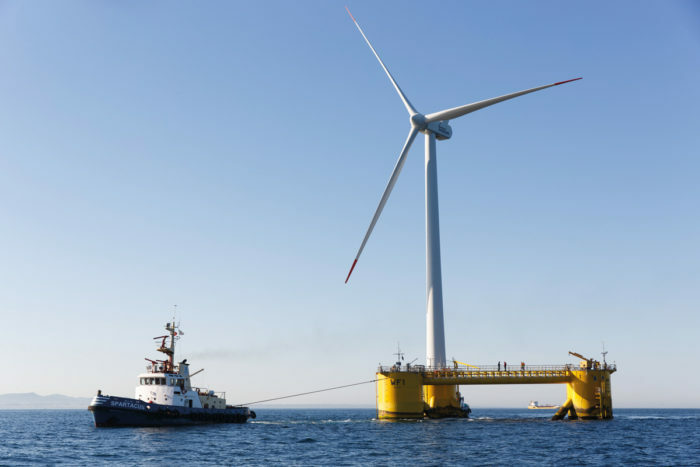 Wind can also help reduce the costs of offshore oil and gas through shared infrastructure and in the future via ‘power to platform’ technology. Als on June 23, 2017 WindEurope, in partnership with Eurelectric, the European Copper Institute, Solar Power Europe, Avere and the Europe Climate Foundation launched ‘The Electrification Alliance’. The partnership calls for the EU to “..further deploy the needed recharging infrastructure for a rapid roll-out of e-mobility solutions, alongside the adoption and implementation of ambitious CO2 emission standards for passenger cars, light and heavy duty vehicles that encourage zero emission vehicles”.